We’ve been speaking a lot about how the way we live and work in space is being changed by the rise of the private space industry. Some of you may be scratching your heads and wondering just where this new sector suddenly came from when you weren’t looking. Today, we’re going to tell you one story of just how the way was paved for anyone with a dream to build their own ride into the black. In the early 20th century, the new flight and aeronautics industry had, essentially, plateaued. There were several smaller manufacturers of aircraft that made domestic flights, but, for the most part, airplanes were owned and flown by governments and their militaries; no one dared to attempt crossing the oceans in one. It wasn’t that the tech wasn’t there yet. It also wasn’t because it couldn’t be financially justified: The airplane had found its “killer app” in delivering mail, and there was much to be gained for whoever was first to meet the demand for transcontinental post. No, the problem was that everyone was complacent with things as they were, and no one wanted to take the risk. Enter Raymond Orteig, a French-born, self-made businessman with a striking resemblance to the guy from the Monopoly board game who owned two hotels in New York City. 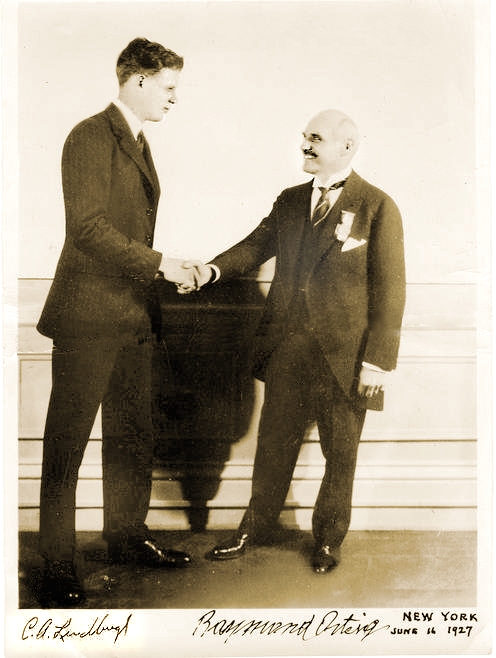 In 1919, he attends a dinner held in honor of American flying ace Eddie Rickenbacker, who spoke powerfully and beautifully about Franco-American friendship, and painted the picture of a day when the two nations would be connected by air. Orteig was moved and inspired, so much so that he put up $25,000 of his own money on May 19 of that year as a prize for the first non-stop flight between Paris and New York City. I’m sure that both Boardwalk AND Park Place were part of the deal. Now, despite being a great deal of money for the 1920s, the prize that Lindbergh won didn’t even come close to making up for the expenses that his preparations and the record flight itself had incurred. The lasting fame, however, as well as the book deals and other publicity, paid it back many times over. More importantly, the public finally started to take aeronautics seriously as an industry. Suddenly, Wall Street was beating down doors to find airplanes to invest in. The rest, as they say, is history — history that has led to flight becoming so routine that we take it for granted, or even forget that it exists until we book a flight out of the nearest airport. Fast forward to 1996. Space travel was in essentially the same state of stagnation: The business case was there, the tech was there to do it and do it cheap, so money wasn’t an issue, either — but, again, no one wanted to take the risk, so the only people who flew into space and had the means to do so were governments. Once more, a bold entrepreneur gets a crazy idea to put up a cash prize to change things — or rather, he was inspired by the Orteig Prize, and thought, if it worked once, why not do it again? When Peter Diamandis founded the prize, however, he didn’t have the means to front the $10 million that he’d advertised nor did he have a sponsor. Thus, he elected to temporarily name it the “X Prize,” intending to replace the “X” once he’d secured a sponsor. The name stuck, though, even after the Ansari family came forward with the cash. People thought he was crazy, of course, and it was generally agreed that no one would succeed in fulfilling the prize’s challenge to “build and launch a spacecraft capable of carrying three people to 100 kilometers above the Earth’s surface, twice within two weeks.” Indeed, it took someone equally crazy and willing to shirk conventional wisdom to do it. Airplane designer Burt Rutan was struck with inspiration for a new way to reconfigure a plane’s aerodynamic profile as it re-entered Earth’s atmosphere. When he presented it to his design team, they thought he’d gone insane. As if this bizarre craft wasn’t bad enough, he intended to carry it beneath a larger, even more bizarre-looking airplane, which would carry it to several thousand feet, and then drop it, at which point it would ignite its rocket engines and (hopefully) be on its way to space. Because once you, as a wealthy businessman, buy your own spaceship, you are elevated to the level of James Bond villains. 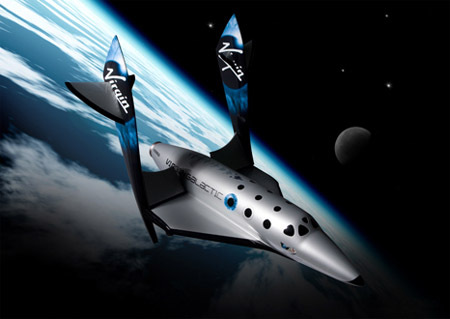 Thus, the world’s first spaceliner was formed, and Virgin Galactic expects to send its first paying passengers into space aboard SpaceShipTwo in the next two years, and a new private space industry boomed overnight. The X Prize Foundation itself went on to host other prizes in the hope of benefiting mankind, such as the Progressive Insurance Automotive X Prize to create a clean, fuel-efficient car, the Archon Genomics X Prize for genome sequencing, or the Google Lunar X Prize to land a robotic probe on our moon. The impact that SpaceShipOne‘s flight had on the world, though, can not be overstated. Whereas before, no one took the idea of anyone but governments going into space seriously, now, if you were to pitch the idea to an investor, they’d likely say “So what? How are you so different from all these other businesses, that I should fund you?” We now live in a time when a small, passionate, and hard-working group of people can take back the sky and go into space on their own terms. In time, that same blessing will be open to all of us, regardless of background or standing in the world. While Rutan’s marvel of engineering was only a sub-orbital flight (up to space, then fell back to Earth), SpaceX’s Dragon will be the first private craft capable of achieving orbit or travelling through deep space — a craft we all strongly feel should be named Serenity to reflect that future that we hope that it will lead to. In the coming days, we’ll introduce you to some of the fruits of the new space industry. In the meantime, take a minute and let him know that you like what they’re doing. Write a letter to SpaceX CEO Elon Musk, even if it’s just a brief note.